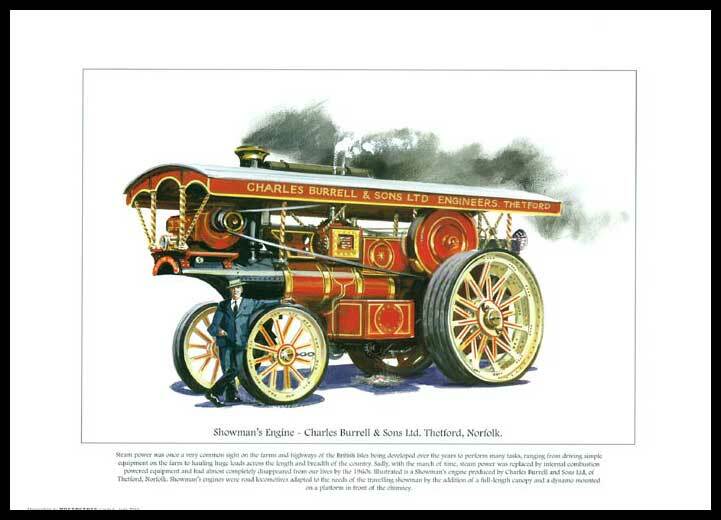 Collectable Cards: Rogerstock Ltd. - 25 Steam Traction Engine Prints - Showman's Engine by Charles Burrell & Sons Ltd.
Rogerstock Ltd. - 25 Steam Traction Engine Prints - Showman's Engine By Charles Burrell & Sons Ltd. Produced by us : Rogerstock Ltd., and have been printed with lightfast inks on 230 g.s.m. silk board. Showman's Engine by Charles Burrell & Sons Ltd.